Visitor Richard Wright was kind enough to interact with Eddie’s most recent post, and the comments of some there, in defence of his “autonomous nature” position, in which nature is “closed” not in the “democratic liberty” sense of Howard Van Till et al., but in the sense of being finely set up at the beginning so that its laws accomplish all that God desires from nature throughout time. His idea seems a lot closer to the old deterministic (semi)-deism than some, in that his view of nature appears relatively constrained by law and initial conditions rather than spontaneity blind chance, but he has promised to come back on some of my critiques after the holiday hiatus. Here I just want to pick up on a common idea he mentioned only in passing – the looming spectre of divine deception. This “divine deception” is actually a prime example of how our enculturated scientism gives us a quaintly parochial view of human experience. I’ve written on Christian “soft scientism” here, but the term was first coined by others. The fact is that, taking mankind as a whole over history, nothing has been more pervasive and normal than the attribution of divine (or other non-material) agency within the processes we call “Nature”. 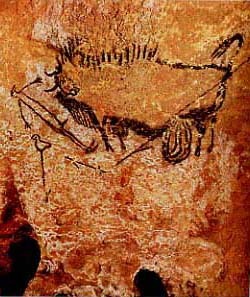 The more “primitive” societies in the world today are nearly all “animist” in one way or another, and though it is dangerous to apply modern examples to lost cultures (the fashionable labelling of palaeolithic cultures as “shamanistic” being one), palaeolithic art makes it more likely than not that mankind was animistic from early days. Tim Ingold, like Bird-David, argues that animists do not see themselves as separate from their environment: “Hunter-gatherers do not, as a rule, approach their environment as an external world of nature that has to be ‘grasped’ intellectually … indeed the separation of mind and nature has no place in their thought and practice.” Willerslev extends the argument by noting that animists reject this Cartesian dualism, and that the animist self identifies with the world, “feeling at once within and apart from it so that the two glide ceaselessly in and out of each other in a sealed circuit.” The animist hunter is thus aware of himself as a human hunter, but, through mimicry is able to assume the viewpoint, senses, and sensibilities of his prey, to be one with it. Most of the tribal people in Andaman and Nicobar Islands believe in a religion that can be described as a form of monotheistic Animism. The tribal people of these islands believe that Paluga is the only deity and is responsible for everything happening on Earth. The faith of the Andamanese teaches that Paluga resides on the Andaman and Nicobar Islands’ Saddle Peak (Andaman Islands). People try to avoid any action that might displease Paluga. People belonging to this religion believe in the presence of souls, ghosts, and spirits. Interestingly, people of this religion put a lot of emphasis on dreams. They let dreams decide different courses of action in their lives. The point is not that animnistic views are right, but that they are the default position for people not taught something else, even when the concept of superior deities or one High God is available. This leads to a pathway from animism and totemism towards modern religion. The classical civilized pagan religions, including the Mesopotamian, Egyptian, Norse, Greek and Roman systems – and even South American belief systems, all saw the gods as active in controlling nature, often through minor deities associated with the phemomena as well as directly (remember the dryads and nymphs). In more intellectual systems, a supreme divinity might be involved (as in Platonism or Hinduism), but even in the hellenistic ivory-towers where radical new ideas were spawned, for every rationalist atomist like Democritus there was a Chrysippus who saw the governing activity of God over inanimate, and even human, events. I’ve written before on Owen Barfield’s thesis of the gradual “desacralisation” of nature amongst the Greeks, and his argument that a more significant and useful version of that process was unique to the Hebrew religion. We can see this in the Genesis creation account, where polytheism is stripped away to make God the ultimate creator of a crafted nature that appears superficially rather like our own concept. Very little space is given in Scripture to secondary personal causes in nature, apart from anomalies like the delegation to Satan of Job’s affliction from “natural” causes. But that biblical separation of God from nature is somewhat illusory – though other deities have been abolished, and even angels apparently are largely unmentioned in natural happenings, the gap is filled not with a self-sufficient nature, but with God’s providential government of an instrumental Creation. Nothing did more than the Bible to establish the reality of secondary causes (against occasionalism or pantheism), but it established them as tools in God’s hands, not as a world independent of God’s ongoing control by virtue of its created natures, or “laws”. The biblical picture is, pretty uniformly, that of the world as an instrument on which God plays. 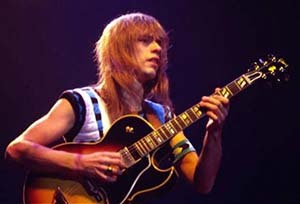 A guitar or a trumpet is a true secondary cause in music, and may be examined and studied without a trace of animism (though that too may be alive and well in real people whilst violinists still talk about the “soul” of a Stradivarius and Steve Howe wants to be buried with his beloved Gibson ES175). But we are not deceived into thinking they will produce anything musical without a player. As in previous posts I can do no better than point you to Yahweh’s word in torah that he would routinely govern the covenant-faithfulness of Israel by blessings and curses in the natural world. Such a view continues uninterrupted into the Christian era, whether one takes the Patristic injunction to treat every circumstance as being from God’s hand, St Cuthbert fighting devils in the wild elements on Farne Island, St Benedict being protected by a raven from poisoning in Umbria, or the preaching in the Middle English Piers Plowman that the recent Black Death and famine were undoubtedly judgements of God. 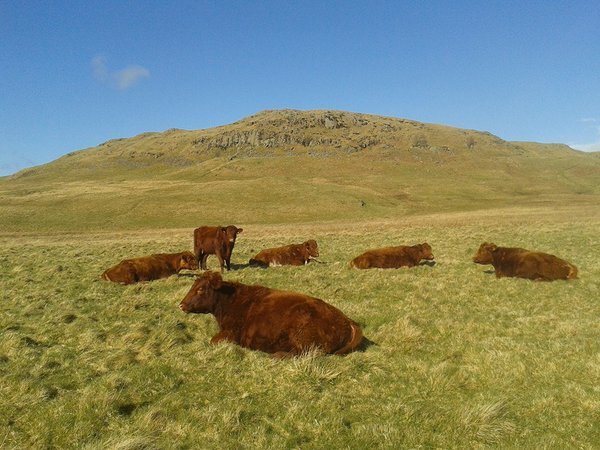 It is true that material secondary causes were treated as investigable in their own right long before Bacon: Bede in the seventh century had a high view of natural providence but investigated the causes of tides. But whilst in the thirteenth century universities those like Jean Buridan were initiating the independent investigation of secondary causes, it was always within the context of theological work in those same universities developing the doctrine of universal providence and divine concurrence as a necessary correlate to it. 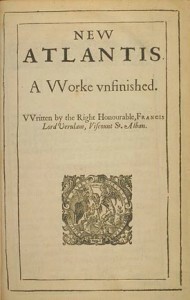 We have to go forward a few centuries to Francis Bacon, Descartes and their heirs for the attempt to create a new kind of science, based on the methodological assumption that worthwhile conclusions could be drawn from empirically investigated material efficient causes in nature, by denying formal causes (by dint of adopting “the mechanical philosophy” of atomism) and by ignoring final causes, which were held to be hidden within God and therefore not amenable to science. It should be remembered that at least part of the motivation for this change, in the religious milieu of the times, was a conscious extension of the desacralisation of nature. It was felt that by denying agency within nature, particularly Aristotelian internal teleology, God’s sovereignty would be glorified. The sovereignty of God over nature’s actions was not seriously called into question, though it came to be seen in the polarised terms terms of “miracle” v “nature”. 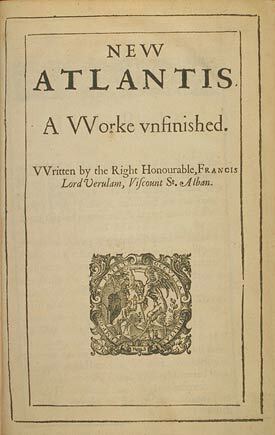 Nevertheless, even in Bacon’s utopian novel, The New Atlantis, allegorising the more pious and rational age he was hoping to introduce, the plot starts with the providential rescue of lost sailors after prayer by the stilling of a storm and bringing to a safe destination. Even to Bacon, God controls nature providentially. Still, the new view of science brought in its wake a new view of nature, at least in academic circles, culminating in the Deism that saw God’s detachment from nature as a rational virtue – or even as a rational necessity. But we should remember that, as Deism increasingly occupied the rarified academic high ground, ordinary people still had no difficulty assuming God’s providential control of nature either within the old ecclesial traditions or popular movements like that of Wesley. That is, until it was educated out of them by those who, having imbibed deistic ideas at universities, increasingly occupied the pulpit and the master’s desk – and in a later century, of course, the newspaper editor’s office, the TV studio and even the recording studio, now that pop-music has become an élite, rather than a popular, art. You don’t need to have read Leibniz when the mantle of his teaching has passed to Jethro Tull. More recently post-modern anthropologists are increasingly engaging with the concept of animism. Modernism is characterized by a Cartesian subject-object dualism that divides the subjective from the objective, and culture from nature; in this view, Animism is the inverse of scientism, and hence inherently invalid. Drawing on the work of Bruno Latour, these anthropologists question these modernist assumptions, and theorize that all societies continue to “animate” the world around them, and not just as a Tylorian survival of primitive thought. Rather, the instrumental reason characteristic of modernity is limited to our “professional subcultures,” which allows us to treat the world as a detached mechanical object in a delimited sphere of activity. We, like animists, also continue to create personal relationships with elements of the so-called objective world, whether pets, cars or teddy-bears, who we recognize as subjects. As such, these entities are “approached as communicative subjects rather than the inert objects perceived by modernists.” These approaches are careful to avoid the modernist assumptions that the environment consists dichotomously of a physical world distinct from humans, and from modernist conceptions of the person as composed dualistically as body and soul. I find that a fascinating insight, though barely scratching the surface of the general feeling amongst people worldwide that God does, indeed, govern natural events, whether that be in the common expression, “I’m sure it was meant to be…”, or the kneejerk blaming of God for natural disasters (whilst forgetting what was once also a kneejerk reaction of national penitence and prayer). The concept of nature as a closed system, however, seems to me to depend on constant rules and reminders, rather than on human instincts. In science (and in “science envious” disciplines like academic psychology, theology and history) is the insistence on methodological naturalism, with its arbitrary exclusion of form and teleology and with quite real professional sanctions against those who forget the boundaries. In popular scientific polemics come the frequent reminders from Dawkins et al. that though life gives every appearance of being designed and purposeful, we must constantly remind ourselves that it isn’t, or be deceived. In education, curricula must be vetted to make sure that no reference to creation – not just to Creationism – creeps in to pollute young minds. In churches and science-faith websites(!) the doctrines of providence and concurrence are entirely forgotten, or else crudely caricatured and treated as if they were medieval scholastic eccentricities rather than core historical teachings. Yet despite all this, it seems to me, most ordinary people worldwide still feel no sense that God is deceiving them by working in and through nature to govern his world. Most of them think it’s only logical that the King of the world should govern it. Sounding an awful lot like Tom Wright, eh? Great post, Jon. Funny how people expect science, founded intentionally to exclude formal/final causation, to tell us whether or not there is any purpose in anything. Sure thing, Noah – I’ve often wondered why so many people, even ECs, fail to notice how much the hiddenness of God in nature is an inevitable artifact of excluding him a priori by the methodology. There are serious issues about God not revealing himself, but acting in hidden ways. PS: Your Shona Learoyd link does not work for me. Ian – I don’t know how that non-link to Ian Anderson’s wife got there! The real one is little more informative, I’m afraid, just referencing Ian’s religious views. But is “hiddenness” really the right concept for that, since even when we’re well-versed in this teaching about grace we’re still to live in that tension? Howe’er it is, if we apprehend the truth of it, we adjust our mindset accordingly, hopegully without either becoming Hypercalvinists or Pelagians! Jon, another interesting post. A light hearted suggestion. You could probably supplement your retirement income by creating titles for books. The titles of your posts are “brilliant,” as PBS leads me to think you Englishmen say regularly. Thanks Preston. Perhaps after my decease I will be the only author whose only published book was an anthology of titles. I wish it were possible to edit these comments. My perspective on “hiddenness” is not that it is meant to deceive. The fact that God gives the world a “normal mode,” where laws seem to be followed is mostly so we can deal with it. So we know what to expect, and we can deduce the rules of “normal mode” both in common intuitive ways and by the more elaborate means of science. That seems about right to me Preston. If we’re taking a theistic line, ie that God is the one “doing” the normal mode directly, or through created natures, or through laws of nature, then he’s no more hidden than a secretary is because she always sorts the mail for us in the morning, or than a local authority is because the garbage is collected and the traffic lights work. I do think that He is hidden in the sense that Pascal meant when he said he wouldn’t attempt to prove the existence of God from nature. He’s right because not only does the garbage usually get picked up, someone or something is also regularly knocking over garbage cans and spreading the garbage all over the place. Maybe it’s not an accident that God spelled backwards is “dog.” The universe as a whole is strongly suggestive of God, but it’s also somewhat ambiguous. The position of the Manichean is all too understandable to me, even if I choose to believe otherwise. Preston, I’m not sure whether it’s the influence of Paley, or his detractors, or what, but maybe we should notice the way we so easily move from “understanding of God’s activity” to “proof of God’s activity” in conversation. There is actually no obvious link. We never seek to prove the existence of garbage men or local government from the fact that the bins are emptied – and neither do we usually consider them to blame if somebody spills the contents over the pavement. Our evidence for their existence comes from getting the request for payment or an election notice, or from visiting the town hall to complain about something. No, our usual problem is taking such things for granted, forgetting that regular services are the result of much care and organisation, and complaining that the authorities only want our money to waste on smart offices or civic dinners. That, I suppose, is due to a lack of community commitment on our part, or in religious terms alienation from God.